Good news for stationery lovers! Starting tomorrow from 8th July, we will have an LIKE&SHARE campaign at Tokyu Hands Singapore. 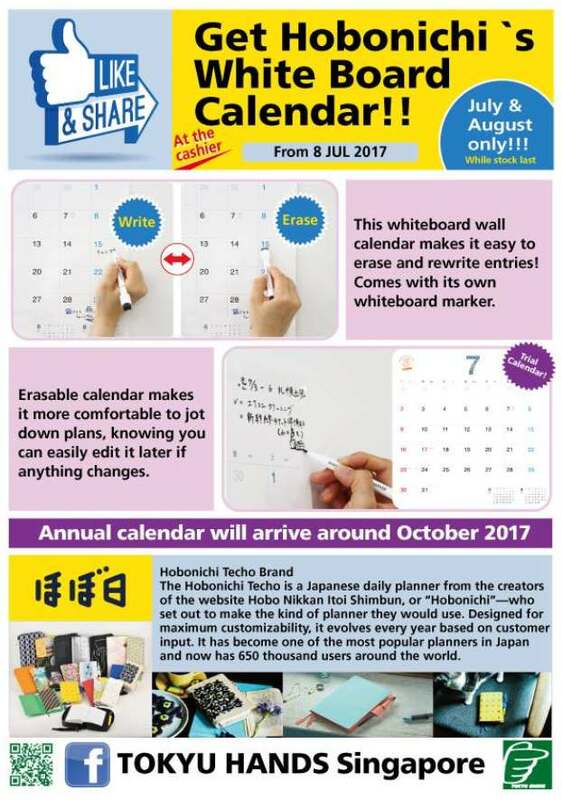 Simply show our cashier that you have LIKE&SHARE our Facebook page upon checkout and you will receive a Hobonichi Techo’s White Board Calendar (July & August) for FREE! !